Q: What is Therapeutic Ultrasound? 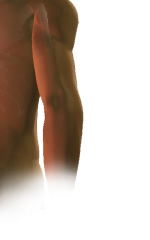 A: Unlike diagnostic ultrasonography or "ultrasound" which is used to discern problems deep in the body without breaking the surface of the skin, by bouncing and measuring high frequency sound waves to create audio "images", "Therapeutic Ultrasound" is used to apply deep heat to an affected body part. Q: How does Therapeutic Ultrasound work? A: Therapeutic Ultrasound uses high frequency sound waves, well beyond the range of human hearing, which cause molecules in the tissues to vibrate, producing heat and mechanical energy. This deep tissue heating modality reaches underlying tissues as deep as 1 to 5 centimeters, and it is used to treat musculo-skeletal injuries, back and joint conditions, limited range of motion, soft tissue injuries, and chronic conditions. Q: Why is Therapeutic Ultrasound used in our office? A: We use Therapeutic Ultrasound in our office when the need for a much deeper degree of heat penetration is required. Since the hot packs that we use are best suited for more superficial soft tissue applications, Therapeutic Ultrasound assists in deep back and joint conditions.